Elizabeth George fans have been waiting a while for this new novel. WITH NO ONE AS WITNESS in which Lynley's wife Helen was murdered was published in 2005, and WHAT CAME BEFORE HE SHOT HER, which explained how she came to be murdered, in 2006. In terms of modern day publishing, the wait, for the next Lynley and Havers case, has been quite long. But in fact the "virtual time" lapse between novels is nowhere near that long. The blurb on the back of the book begins "It is barely three months since the murder of his wife and Thomas Lynley has taken to the South-West Coast Path in Cornwall, determined to walk its length in an attempt to recover from his loss..." Six weeks into the walk he finds the body of a young man who appears to have fallen down a cliff to the beach and Lynley's built in knowledge of what to do about a crime scene kicks in. But Lynley is obviously not ready to return to work. Not only has he been sleeping rough for six weeks, he is bearded, unwashed, and he smells. He tries to get away without identifying himself but someone recognises his name. As the person who reports the discovery of the body, he also finds himself at first as a suspect. Lynley is co-opted into the investigation by DI Bea Hannaford, into whose lap it has fallen because she is short staffed. Her gut feeling is that, despite appearances, he is not a suspect but feels she can use him to find out more about other suspects, for example Daidre Trehair who owns the cottage closest to where Lynley discovers the body. First investigations indicate that Trehair is hiding something, but is she guilty of murder? There is no getting away from the fact that this is a complex, many stranded book, with an almost bewildering cast of characters, and an array of sub-plots, some of which turn out to have little to do with the main murder investigation. But what most of the sub-plots do have in common with the main story are the themes of loss, the love of parents for their children, the need for children to break away eventually, and what makes a marriage. The length of the book comes directly from George's exploration of these themes in sub-plots that are really stories on their own. Many of the reviews that I have seen have criticised its length, even said that George is attempting to take her writing to the level of literature, as if that was a bad thing. In reality she couldn't have done what she has done in less. This case is part of the rehabilitation process for Thomas Lynley. Helen is only three months dead, and with her died his unborn child. He has been unable to imagine a meaningful life without her, and in CARELESS IN RED, you can see meaning being re-born. I am very much taken with the character of Bea Hannaford and would like to see more of her in a future book. Her marriage to the Assistant Chief Commissioner has been in limbo for 14 years and an exploration of the causes of this and its effect on her life is one of the enjoyable sub-plots in CARELESS IN READ. I couldn't help comparing her to Helene Tursten's Irene Huss, Aline Templeton's Marjorie Fleming, and Cath Staincliffe's Janine Lewis. So, even though this took me a long time to get through, it was a quality read. I kept thinking "I must remember to mention that in my review" when I read one thing or another. And of course I haven't mentioned everything. How could I and not spoil the experience for you? But if you find it long reading like I did, I'd like to tell you that I found the final seventy pages totally gripping. Review reprinted with the kind permission of the author. 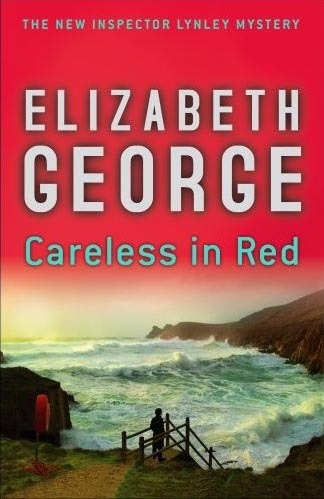 Read another review of CARELESS IN RED. Kerrie blogs at Mysteries in Paradise.